The Fourth of July holiday harkens thebeerchaser back to his Naval History courses at Oregon State University. While the following oft-quoted tale has been disproven historically for a number of reasons, it speaks well to the spirit of Navy personnel throughout history. 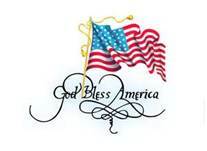 It also provides an opportunity to celebrate America’s great history and why we should honor her on the 4th of July. The USS Constitution – known as “Old Ironsides” was a combat vessel carrying 48,600 gallons of fresh water for her crew of 475. This was sufficient to last for six months of operations at sea. She carried no evaporators or fresh water distillers. 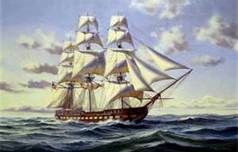 On 27 July, 1798, sailed from Boston with a full complement of 475 officers and men, 48,600 gallons of fresh water, 7,400 cannon-shot, 11,600 pounds of black powder and 79,400 gallons of rum. Her mission was to destroy and harass English shipping. 79,400 Gallons On Shipping Out! She then headed for the Azores, arriving there on 12 November. She provisioned with 550 pounds of beef and 64,300 gallons of Portuguese wine. On 18 November, she set sail for England. In the ensuing days, she defeated five British man-of-war and captured and scuttled 12 English merchant ships salvaging only the rum aboard each. By 26 January 1799, her powder and shot were exhausted. Nevertheless, although unarmed, she made a night raid up the Firth of Clyde in Scotland. 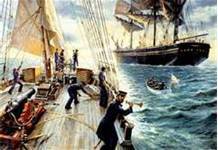 Her landing party captured a whiskey distillery and transferred 40,000 gallons of single-malt scotch on board by dawn. Old Ironsides arrived in Boston on 20 February, with no cannon-shot, no food no powder, no rum, no wine, no whiskey but 38,600 gallons of stagnant water. 1) In 1799, the United States was war with France, not England. 2) The United States Navy moved away from using Jamaican rum as part of the grog ration and moved towards more home-grown spirits such as Kentucky whisky. 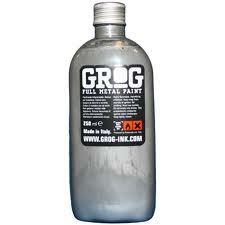 Grog was about 2 or 3 parts water to one part whiskey. 3) When a warship captured a merchant ship, the alcohol supply was the last thing on the captain’s mind. Instead, he was looking for goods he could sell when the cruise was over. This entry was posted in Beerchaser-of-the-Month or Quarter and tagged beerchaser happy July 4th, Beerchaser of the Month, Old Ironsides Story, Oregon State University naval history courses, USS Consitution by thebeerchaser. Bookmark the permalink. An updated version was posted shortly afterwards with info as to why the Old Ironsides tale was more fable than reality. If you want to see the final version, you should just google http://www.thebeerchaser.com. I lived in Boston for 22 years and didn’t visit Old Ironsides once. It took me visiting Boston after 6 years of being away for me to actlaluy go and check it out. It’s one impressive vessel!